Okay, at first glance, this doesn’t look so bad. It connects Middleborough to Taunton, thus bridging two separate entities of GATRA. That’s good, because the system needs better connectivity. It’s weird that it starts at the Council on Aging, but it still serves downtown, so it’s fine. Now, this route has a higher fare than most other GATRA buses: it’s $2.00 from Middleborough to the Raynham Walmart, and $3.00 to Taunton. Not sure why that is, but okay. Fine. Wait, now I’m looking at the schedule, and I see it only runs three times per day: 10:00, 12:00, and 2:00 from Middleborough. Hang on, and what’s this…”Operates Monday, Wednesday and Friday”? Oh geez…this is getting worse. But hey, at least on Mondays, Wednesdays, and Fridays, anyone can use this nice bus to get from Middleborough to Taunton. Let’s go! WHAT? No, seriously, WHAT???????? This is a call-in service?!!??!??!? But it’s not a flex route! This is very clearly a fixed route with a fixed schedule that runs on fixed roads!!!!!!!!! WHAT THE HECK EVEN IS THIS AEIOGMGEEGMLANCNAELCNAELNAEINGEAGN????????? Okay, okay, okay, it’s my duty as Miles on the MBTA to review the route. Let’s just calm down and give GATRA a call. Oh wait, no, it’s not GATRA, it’s the Middleborough Council on Aging. *breathe*…AOHGAEIOGAEEGMEAGMAEGEGMKL!!!!!!!!!!!!!! Okay, let’s call them. LADY: Hello, is this Miles? You left us a message last night saying you wanted to ride the 12:00 Taunton bus. ME: Yes, I did, sorry about that. LADY: It’s okay, we can absolutely get you on that trip. ME: Awesome, thanks! It’s okay if I bring a guest, right? LADY: We can accommodate a guest. Just make sure you get to the Council on Aging early – our driver likes to leave right on time. ME: Will do. Thank you very much! I didn’t need to get so worked up about that! That went very well. Cool, so now we’re scheduled to get the trip! I…oh, hang on, my phone’s ringing again. LADY: Sorry, I just realized you’re not in our system. Could we get some information from you? LADY: Okay, what’s your last name? LADY: Great. And what’s your date of birth? Wow, that was quite a jump in privacy level! Maybe they wanted to make sure I was over 18 or something. I gave her the DOB. LADY: Okay. Now, what is your address? Address? Why??? How does that affect my bus ride at all? Oh well, don’t question it – I need to take this bus. I told her my address. LADY: Fantastic. And can I have an emergency contact? LADY: An emergency contact. Name and number. OKAY…THAT’S DRAWING A HUGE LINE. EMERGENCY CONTACT????? THIS IS A PUBLIC TRANSIT SERVICE WE’RE TALKING ABOUT! I DIDN’T REALIZE GATRA WAS A BABYSITTING COMPANY, TOO!!!!!!! WHAT COULD THEY POSSIBLY NEED AN EMERGENCY CONTACT FOR???? IF GRANDMA JUDY GETS A CUT ON HER PINKY FINGER, WILL HER EMERGENCY CONTACT BE WAITING AT THE NEXT STOP WITH A BAND-AID TO SAVE THE DAY????????????????? After giving Sam an incredulous look, I gave her my mother’s name and number. Sam looked (rightfully) confused. LADY: Okay, great! So, I think that’s it. See you at noon! LADY: Hang on, you said you were bringing a guest? LADY: We’re going to need all his info, too. ME: Sure, just let me scream and bang my head against the wall a few hundred times. Okay, I didn’t actually say that, but I really wanted to. I passed the phone over to Sam with an expression saying I’m so sorry. I knew Sam got to the emergency contact bit when he had that same incredulous expression I made. Finally, after affirming one more time that we needed to get to the COA early, the lady hung up. After that ordeal…we were ready to ride this bus. 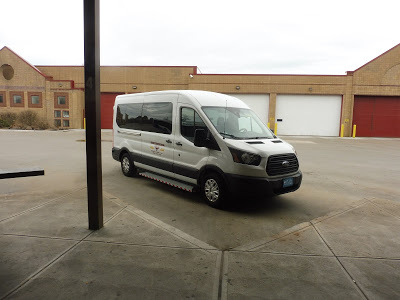 Having completed our wonderful ride on the Downtown Middleborough Shuttle, we were going to walk from its terminus at Trucchi’s Supermarket to the Middleboro Council on Aging. The most direct route was an hour and fifteen minutes – not bad! Aside from a rather nasty intersection near the supermarket, the first leg of the walk on the residential Anderson Ave was quite pleasant. We turned onto Erica Ave eventually, which was a nice side street. “Why are you going to the Council on Aging?” the cop asked. We explained the blog and how we were getting a bus route from there. “Okay. I’m gonna need identification. Please stand to the side of the road and don’t move.” He got our IDs and disappeared into the car. Sam and I were making small talk, but he was in that car for what seemed like forever, and I was sick to my stomach. Were we going to get a ticket? Maybe even get arrested? I’m too young to get a blemish on my permanent record!!! He came back out and handed the IDs back. “Okay, for future reference, don’t walk down Route 44. I’ll give you a ride to the Council on Aging.” Oh, thank God! We were okay! He let us into the back of the car. My seat was hard and uncomfortable, and there was no handle on black door. Still, my situation was better than Sam’s – he had the same conditions, but he was stuck in a plastic box! We talked for a little bit between the plastic barrier, but we were mostly silent. I was just so thankful we made it out of that situation without any consequences. As we were running down Plymouth Street, the officer asked when the bus was leaving. “Noon,” we said. “Huh.” he said. “You might‘ve made it.” After just five minutes of driving, we pulled into the Council on Aging. We thanked the officer as he let us out, and we headed towards the front entrance. I was super thankful for the ride, but we were now incredibly early, so we just found a bench outside the building and sat down. The only picture I got was the one where Sam was making the weird face…oh well. It’s funny that the Middleborough Council on Aging had better facilities than some Commuter Rail stations! I mean, the whole thing was sheltered, and there were four lovely benches at which to wait, as well as a wastebasket and some potted plants. There were tons of community flyers too, including one about the Middleborough-Taunton Connection, featuring an ancient GATRA dial-a-ride vehicle. There was one laying over right outside the building, so assuming that would be our bus, I snapped a picture of it. 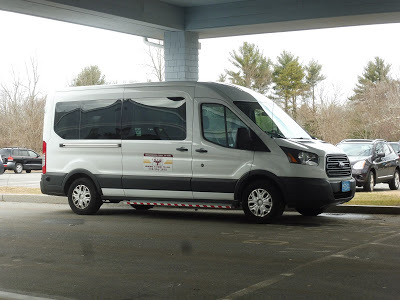 Eventually, a different kind of vehicle came in – it was just a Middleborough COA van. An old man came out and walked toward the entrance. “You must be my 12:00 out!” he said to us – so he was the driver for the route. “Oh! Is that the bus?” I asked him, pointing to the van. “Yup!” the driver said as he entered the building. Sam and I looked at each other, then looked at the van, then looked back at each other…and started laughing uncontrollably. HOW MUCH CRAZIER COULD THIS DAY GET????? The driver came back out. “Okay, you guys ready? Buckle up!” he said as he opened the van doors for us. And…yeah, it was basically a van in there. The one key difference was the inclusion of, of course, a jiggly wheelchair lift. 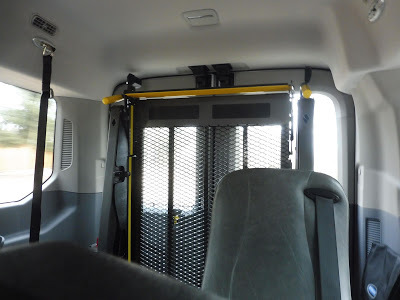 Oh boy, who needs proper buses when you can have – literally – a van with a jiggly wheelchair lift in it?! Well…after all that, at least we made it onto the vehicle. Alright, over 1500 words in, and it’s time to actually start the review! We left the COA on Plymouth Street before soon turning onto East Main Street. This was a residential road, but there were also sizeable patches of forest on certain stretches. Also, there was a place selling miniature horses, so if you want one, this is the route to ride! Totally not sketchy at all! After crossing the Nemasket River, the houses started to get denser. 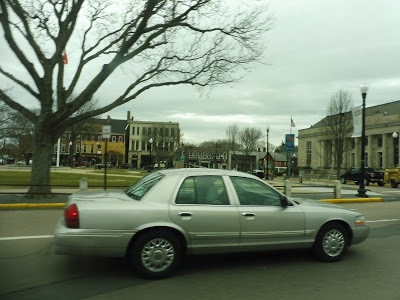 We turned onto North Main Street, which eventually led us into downtown Middleborough. After going by its boring, bland businesses and its admittedly beautiful town hall, the street became lined with houses again. There was some suburban retail at the intersection with Grove Street, which we were supposed to turn onto, but we just kept on going. Where were we going? I-495! Express section time!!! I just want to point out that we are currently on the highway in someone’s van. This route can’t get any weirder! 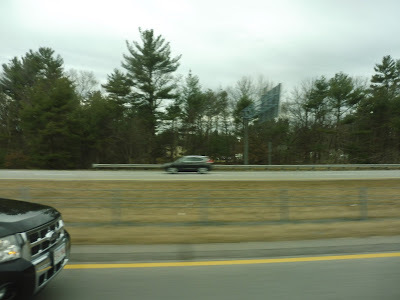 We were only on the highway for a bit, but it was fun while it lasted – we soon took Exit 6 onto the infamous Route 44. 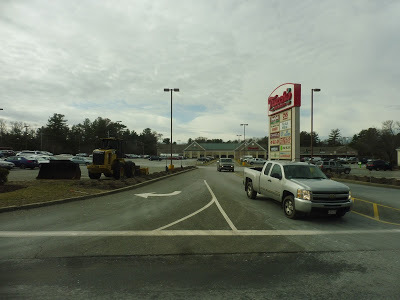 This was a really boring road, consisting of bursts of suburban retail, then sections of woods. 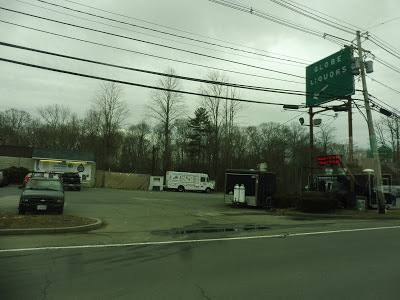 We passed through sections of Lakeville, Taunton, and Raynham in quick succession, but nothing along Route 44 changed. At least the Taunton River broke things up a bit. After crossing Route 24, the suburban businesses were constant. Indeed, there were now a ton of shopping plazas along here, too! 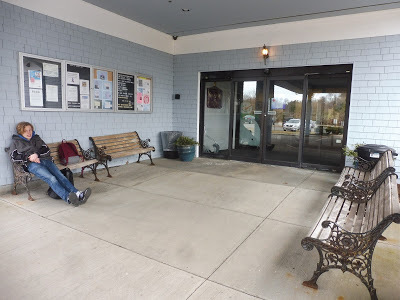 We also passed a small clinic that gets its own timepoint, for some reason – if you want to take the bus to “Route 44 Medical Walk-in,” you can! 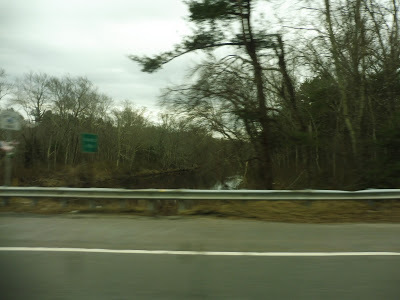 We entered Taunton soon after, coming up along the Taunton River. The road became Dean Street. Can’t say I’m a big fan of the neighborhood. There was a mix between houses and offices, although not particularly big ones. Dean Street soon left the river, running along the lovely Church Green. Once it became Main Street, we were in downtown Taunton, running past tons of (mostly boring) businesses. 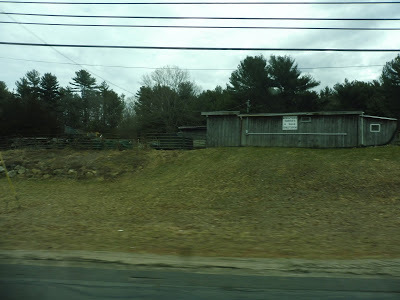 Near the Taunton Green, we turned onto Court Street, which led us past some industrial buildings and a parking lot. We turned onto Washington Street, going over the Mill River. There were some suburban businesses along here as it became Oak Street, and finally, we reached the good ol’ Bloom Terminal. In a van. We pulled into one of the berths, and the driver opened the doors for us. “3 dollars each!” he said as he took out a ziplock bag. I don’t know why he had us pay at the end instead of at the start, but at least the ziplock bag was better than the clipboard from earlier! Ridership: GATRA has no ridership information for this route online, and I can only assume it’s low. I mean…our trip was just us! The woman on the phone did reference a “group” who was getting on at “Dunkin’ Donuts,” so maybe a few other people rode that day. Still, though – I’m very sure that ridership for this route is astronomically low! THIS IS LITERALLY JUST A FIXED BUS ROUTE, WHY DOES IT HAVE TO BE SO COMPLICATED TO RIDE? EMERGENCY CONTACT, I MEAN, REALLY??????? EGJAIGAEEGAIGGAE!!!! There. I think I handled that well. Nearby and Noteworthy: WHO CARES? OH, I JUST DID THAT. I JUST PULLED THE 0 CARD! AND BEAR IN MIND, IF THIS WAS A REGULAR BUS ROUTE WITH A MINIBUS AND A NORMAL BOARDING PROCESS, IT COULD SCRAPE A 3 – THERE SHOULD BE A ROUTE BETWEEN THESE TWO TOWNS! 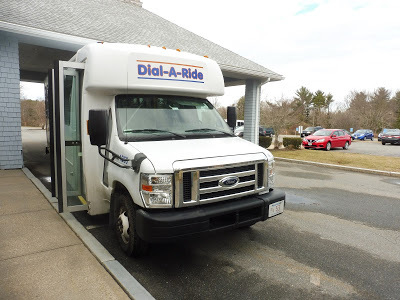 BUT NOOOOOOOOOOO, IN ORDER TO RIDE THIS VAN, YOU HAVE TO SELL YOUR SOUL TO THE MIDDLEBOROUGH COUNCIL ON AGING, PLUS DEAL WITH EVERY OTHER HORRIBLE THING OUTLINED IN THE CONS SECTION! YEAH, IF ANY BUS ROUTE DESERVES A 0, IT’S. THIS. ONE. AND WE NEARLY GOT ARRESTED TRYING TO RIDE IT!!! GATRA, I’VE SAID LOTS OF TERRIBLE THINGS ABOUT YOU BEFORE, BUT I CAN NOW DEFINITIVELY SAY THAT YOU RUN THE ABSOLUTE WORST BUS ROUTE I’VE EVER RIDDEN AND EVER WILL RIDE. THERE CANNOT BE ANYTHING WORSE THAN THIS, AND IF THERE IS, THEN I MIGHT AS WELL CALL IT QUITS NOW LEST I GO INSANE. HAVE A GREAT DAY!!!!!!!!!!!!!!!!!!!!!!!!!!!!!!!!!! And this is officially the worst bus route you have reviewed!the first and maybe only route to recieve a 0/10 score ,and the second 0/10 review,the first being the infamous hastings. Congratulations ,I guess? Probably the only one that'll get a 0. There CAN'T be anything worse than this! This was so fun to read i imagine it as a comic! This was your most hilarious post of all time. You truly went above and beyond to get us this review! It is incredibly concerning and comical how poor and unnecessarily complex this service is, and I hope that some attention is now drawn to this. Keep up the great work. Yeah, MassDOT has a nasty habit of posting roads as no pedestrians, bicycles, or horses when the alternate route is very inconvenient, or in some cases nonexistent. I wish they wouldn't. If the road is unsafe for pedestrians, the correct solution is to make it safer, not ban them.